Your newest bridal boutique in Cavan. I’m so thrilled that I can share this news with you. 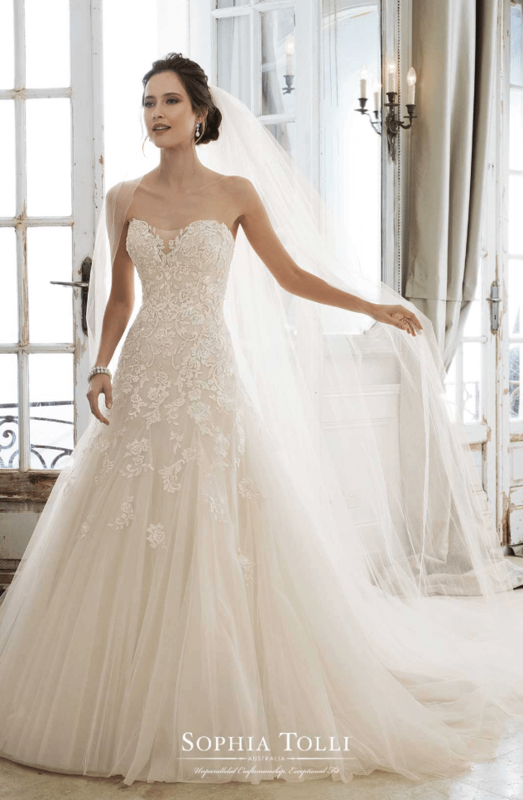 If you were tuned in to my trip to Harrogate Bridal Market last month, you may have spotted some gorgeous collections from Martin Thornburg, Venus, Sophia Tolli to name but a few. These top bridal designers are now going to be stocked in Amsha Bridal when it opens their doors on the 20th of October and I’m going to pop down for the opening. I had a sneaky look at the collection Michelle Cullivan, (Boutique Owner) selected and I would have picked the exact same gowns. Michelle spent the year previous marching up and down the country with her daughter trying to find that all important dress for her daughters big day. However, finding a more curvier dress was close to impossible. After serious consideration, Michelle will be opening her doors serving a collections to all shapes and sizes. I hear from so many brides that are trying to source dresses from size 16 to 22 and are so upset to discover that so many shops can’t accommodate them or the sample size is 10-12. Michelle is working with the brand ‘Sacha James’ who are so well established in curvier gowns and i’m so thrilled that she has brought this to our fair shores. I’ll be there to help Michelle open her boutique on the 20th of October 2-6pm along with the Instaglam gang. Why don’t you come and join us for some bridal fun and some bubbly as we cut the ribbon and wish Michelle and her team the very best of luck!